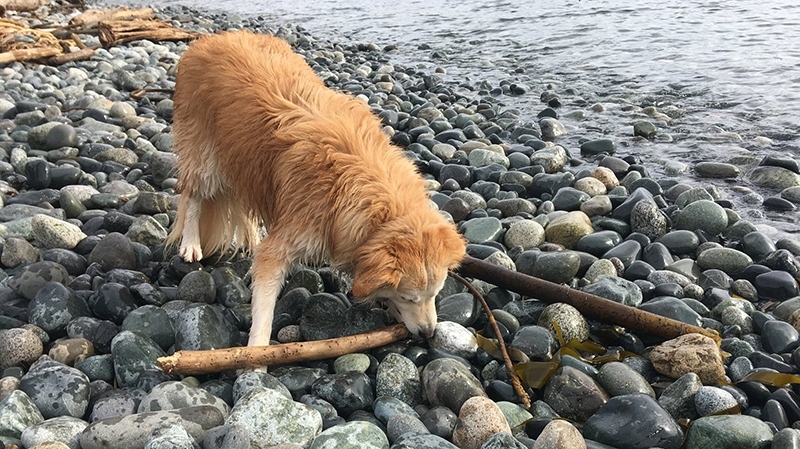 A Victoria veterinarian issued a warning to dog owners after her golden retriever was said to have been pulled under water and bitten by otters. In a Facebook post, Claudia Campbell described how an apparently playful aquatic encounter between “Goldie” and a trio of otters took an unexpected turn. Campbell said the attack occurred while the 27 kilogram dog was in the care of a dog walker at a local beach. She said the dog walker ran into the ocean to wrestle Goldie away from the otters. Donna Berndt said she witnessed the attack after she heard Goldie yelping. “One of the otters had the dog by the tail. The second otter was on top of her and appeared to be drowning her,” she told CTV Vancouver Island. Campbell said her clients have shared accounts of otters attempting to lure dogs into the ocean. She recommends keeping pets on a leash when the wild animals are spotted. She said Goldie escaped the ordeal with a puncture mark on her back and bites on her tail and leg. She said the dog walker was “a bit shaken up” and cold from the ocean. Marine zoologist Anna Hall said she is surprised by the incident. Goldie escaped the ordeal with a puncture mark on her back and bites on her tail and leg.